When we think of elementary school furniture, a very specific picture comes to mind: Uncomfortable plastic chairs, and those open-front desks that became rat nests filled with old Elmer's glue sticks and discarded Lunchables. But maybe school design and decor has remained so terrible because no one ever attempts to update it, or (more likely), the budgets to do so are lacking. This foam stool is easy for students to pick up and move around, according to Dezeen. The furniture design program students at the Royal Danish Academy of Fine Arts are hoping to change this. 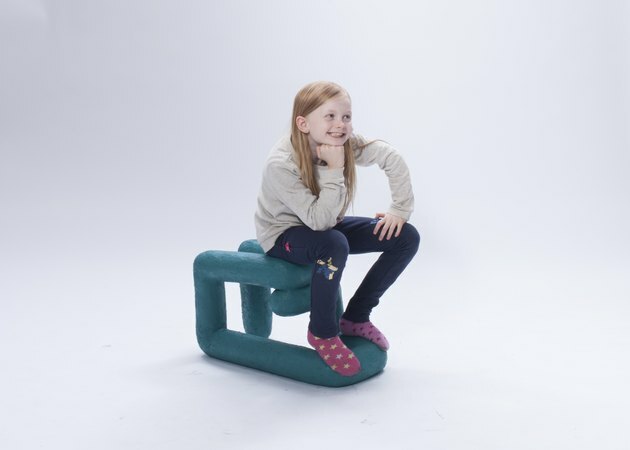 These students, who are working toward their bachelor's degrees, recently presented children's classroom furniture that they see fit for the year 2020 at Stockholm Design Week, and their ideas prove to be extremely innovative, and (shockingly) fun. 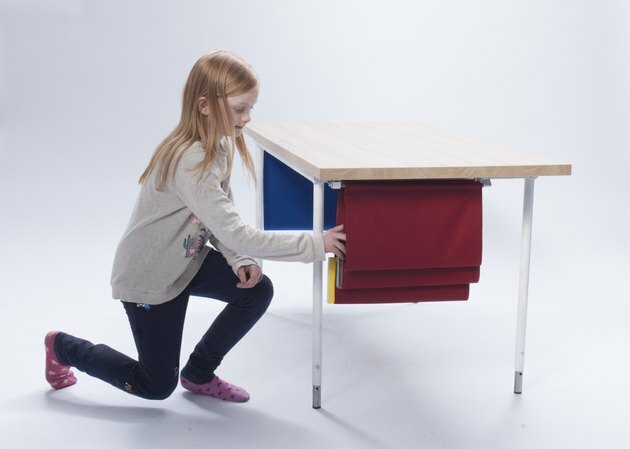 The soft cloth bags attached to this desk are a storage function aimed at reducing noise levels in the classroom. Instead of loudly picking up teaching resources from a classroom cupboard, students can keep any supplies they need at their own desks. The project was led by Professor Thomas Alken, who picked the topic of furniture for kids in the first through sixth grades. These days, Denmark's schools have more students, group teaching, and longer days — yet the furniture used in academic institutions hasn't necessarily adapted to these changes. "A lot is happening regarding pedagogy and new ways of learning, and at the same time the amount of money spent on each young school kid doesn't seem to grow," he told Hunker regarding the inspiration behind the assignment. 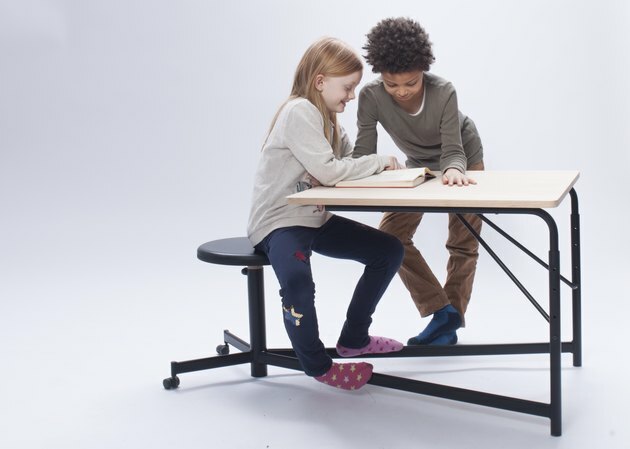 The seat of this desk swivels, allowing children to be seated comfortably in a number of different directions. Alken's students began by conducting extensive research at different schools in Copenhagen to experience how furniture could be improved and adapted to better fit the teaching conditions of the future. In the end, they decided to create pieces that could be easily adapted to fit the needs of each child — think desk seats that swivel so children can work in any desired direction, or desks with more storage space than those currently in classrooms. The furniture pictured are prototypes that were built by the creators in the Academy's workshops. While the pieces aren't available for purchase just yet, Alken's students are hoping to get in touch with manufacturers to bring the collection to life. Here's to hoping that this creative group will inspire the U.S. to also rethink classroom furnishings.